Regardless of age, high-performance never goes out of style. And while this is a 37 year old comparative dinosaur next to many of the modern machines posted on RSBFS, it still looks fast and purposeful - and ready to rip your arms out of their sockets when it hits the pipe! The TZ series were Yamaha customer race bikes, allowing privateers access to *almost* the same machinery as "factory sponsored" riders. 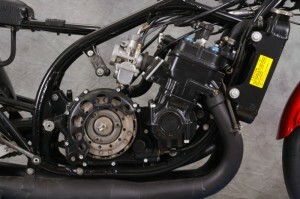 The factory boys probably sat on the same base motorcycle as the privateers, but were often assisted by trick parts and the latest developmental gadgets. Still, many a professional rider turned laps on TZ machines, and their contribution to motorcycle roadracing cannot be denied. 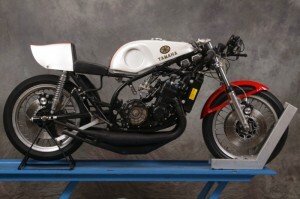 Unfortunately, very few of the racebikes survive in any period correct semblance and prices are rising fast on quality hardware. 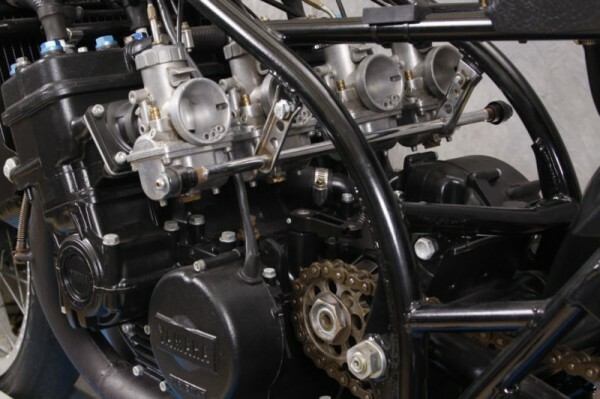 still with the 700cc top end. 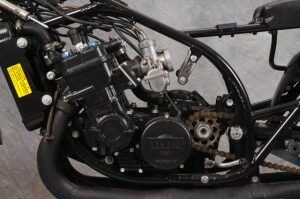 indicating this bike was in the first 20 bikes produced that year. team in the USA, Asia or Europe. or another factory supported rider. 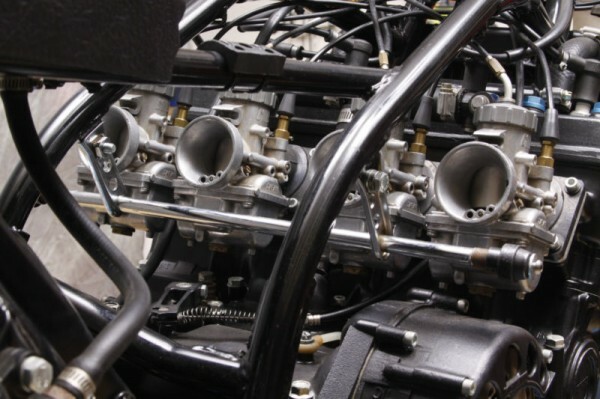 Almost impossible to find with the original top end. either factory or a VERY professional conversion. Wire spoke wheels appear original. Attractive paint on tank, seat and fairing. The cases have no serial number, not unusual for a factory bike. The providence of any racebike is often a murky affair. The seller insinuates that this bike might have been ridden by one of the greats, but that is not a documented fact. 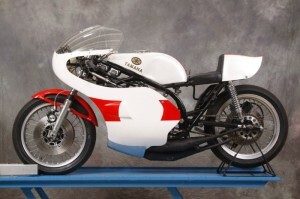 The point is that documented race history turbocharges the price on any collectable racebike. 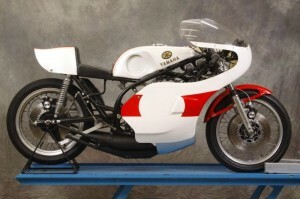 Still, this is an undeniably clean example of one of the classic GP machines of the day. I can't decide if this super-sano example is a $34,500 find (as per the BIN) asked by the seller, or a $20k bike with a $15k detail job - I'm not sure the last meal I ate was served on a plate this clean! Two strokes are notorious for burping out schmutz on every possible surface - which is part of their charm - so to see this bike in such a restored state is really a nice treat. Other interested parties seem to agree, as spirited bidding has taken this bike over the $22k mark with reserve still in place. 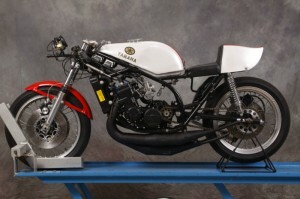 Do yourself a favor and check out the pics on this one: click here to jump over to the auction. Enjoy!